The AOL Michael Arrington conflict of interest/ who is in charge/ and a whole bunch of other things spat that has dominated tech columns across the web since last week can only lead to on conclusion: it’s time for AOL to fire CEO Tim Armstrong. 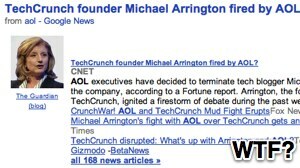 For those that have missed the saga, it’s goes a little something like this: AOL announces that TechCrunch founder Michael Arrington is heading a new venture fund backed in part by AOL. Tim Armstrong backs the fund and claims that Arrington will stay on at TechCrunch but will step down as editor. AOL editorial boss Arianna Huffington (who was only told about the fund the day it was announced) then announces that Arrington has been fired from AOL, then another AOL spokesman comes out saying this isn’t the case. Reports then suggested that Arrington is staying at AOL, but is now working for AOL Ventures (and therefore not answerable to Huffington) but apparently Arrington didn’t agree, and came out and demanded that he keep his role at TechCrunch and that the deal to buy the site last year included him keeping editorial control, and that now they have breached this they should sell the site back to him. Are you keeping up? Good, because I’m struggling and I think I’ve missed a few steps. As of today, at least according to a report at Fortune, Arrington has been terminated by the AOL board, and there’s even a possible question mark over their backing of the “CrunchFund” venture fund. There’s plenty that could be said about Arrington’s behavior in this case (disclosure: I have previously worked for him) but I’ll leave that to Kara Swisher, who in a column at AllThingsD sums up Arrinngton perfectly. But through all this mess there’s one aspect that many commentators seem to be ignoring: how did AOL end up with this dogs breakfast of a story/ scandal (or perhaps best described as a soap opera) to begin with? 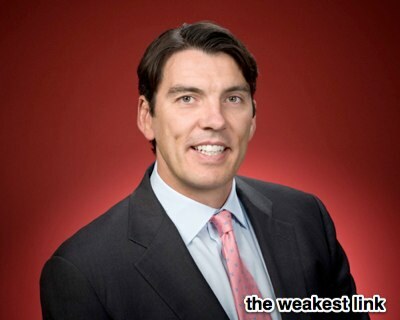 The finger can only go in one direction, and that’s straight to the top at CEO Tim Armstrong. AOL has been a company poorly rated by analysts for years, a legacy in part due to its history, but one that has seen little or no improvement since Armstrong took the helm and tried to shift the bloated old school ISP/ portal into a major content player. Decisions such as acquiring TechCrunch and The Huffington Post can be argued either way, but neither has seen AOL progress seriously forward as a company. You could argue Armstrong was already walking on a thin line with AOL stock holders before this latest saga, but without doubt now the line has been crossed. It was Armstrong himself who put Arianna Huffington in charge of content at AOL, and yet it was Armstrong who thought so highly of her that he failed to inform her until the last minute about the CruchFund setup. It was Armstrong who failed to communicate with the person he himself trumpeted as the future of AOL that throws a spotlight on what can be kindly said as a dysfunctional management style, but more seriously described as a complete failure of appropriate corporate management. There’s also a serious question about the ethical considerations of the CrunchFund move, ethics being a word it would seem that Armstrong (long a mate of Arrington’s I would note) would struggle with. A blind man could see that investing money into a fund run by the Editor of your major tech blog causes a serious conflict of interest, let alone possible legal issues. I’m not an expert in US Corporate law by any stretch, but pumping companies you’ve invested in on a major tech site you own could and would have legal implications in many countries. I’m not a huge fan on Arianna Huffington; her management skills themselves are somewhat questionable and she’s notorious in the industry for being difficult to work with, and yet there is little doubt that she has been a highly successful operator. That said AOL could do far worse than to give Armstrong’s job to Huffington; a massive gamble but at this stage of the game, what have they got to lose? It couldn’t be any worse than Armstrong’s current management, and to Arianna’s credit, she has at least at some stage learned the basics of ethics 101. This last week should be the nail in Armstrong’s coffin as head of AOL. If shareholders had any sense they’ll move at the first available opportunity to send Armstrong the way of former Yahoo CEO Carol Bartz.